Each year, the National Corvette Museum, located in Bowling Green, Kentucky, kicks off its event season by hosting their annual “Corvette Bash.” This event, which showcases all of the newest Corvettes, is one of the best opportunities to get up-close-and-personal with not only the cars themselves, but also the people that make the brand what it is. As in years past, there will be a large number of GM engineers and designers on-hand from the the Warren Tech Center and the Bowling Green Assembly plant. 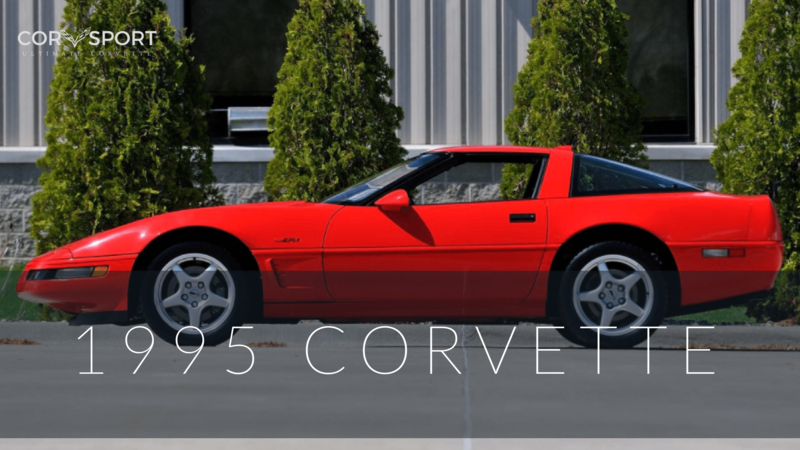 Many of them will present information about Corvette via a number of scheduled seminars, and all of them will be on-hand throughout the three-day event to answer your every question. Included in this year’s lineup are: Corvette Racing Program Manager Doug Fehan, Paul Pearson with his 7th Gen Infotainment / Navigation seminar, and former GM employee and Corvette super-enthusiast Jim Mero, who will be discussing his experiences driving the seventh-generation Corvettes for track times at the Nürburgring. Additionally, BGAP will be back this ear to lead the LT4 Engine building demonstration. Other returning activities include a seminar and classroom sessions hosted by GM certified Corvette Technician Paul Koerner. 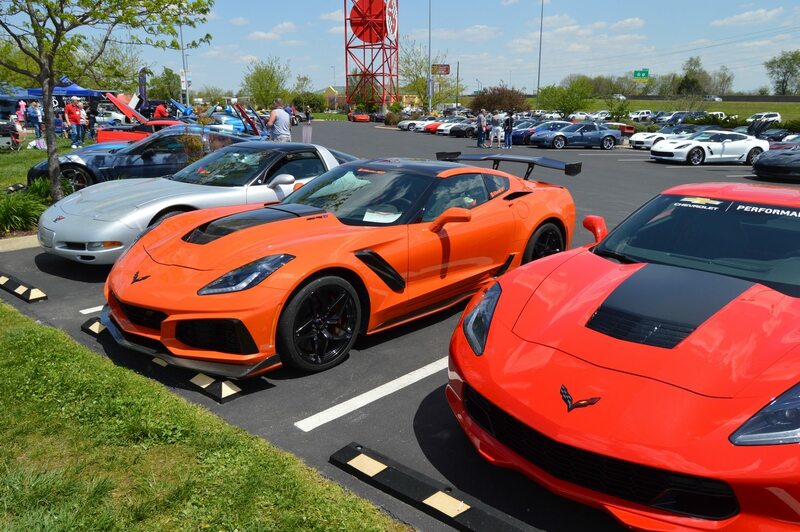 Enjoy guided road tours, two celebrity choice car shows, the Ladies’ Oasis, and the expanded Garage Party with women of the GM Corvette Team. These ladies will cover all aspects of Corvettes including maintenance, engineering and even high-performance driving (though this event is for ladies only). Unfortuntely, on-line registration closed at 8:00am central time on Tuesday, April 2nd. Onsite registrations will be available at the rates of $20 for lifetime members of the Museum, $25 for members and $35 for non-members, respectively. All cancellations will be charged a $5 processing fee per person, and no refunds or cancellations will be offered after advance registration closes. 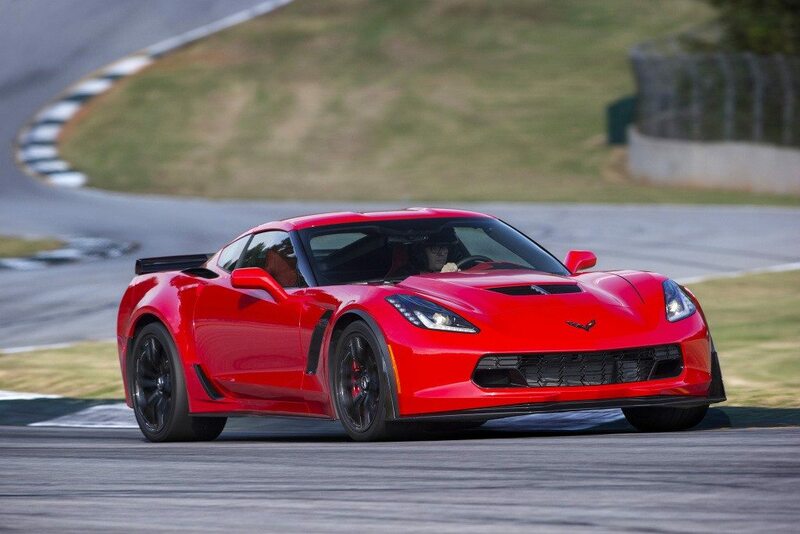 3:00pm Motorsports Park Corvette ExperienceEver dreamed of driving America’s Sports Car? How about on a race track? Now you can at NCM Motorsports Park! Get behind the wheel of a 2017 Corvette Stingray Z51 for laps around our 3.15 mile road course, built for speed! Our Corvette Experience gives you a combination of classroom instruction and hands-on practice on the track. You must be 18 years or older to participate with a valid driver’s license. Participants must sign a Vehicle Damage Policy and Indemnity Agreement. 9:00am – 3:30pm LT1: Lux Row Distillers / BJ’s SteakhouseAt Lux Row Distillers, they have a passion for craft. Presenting a blend of different personalities bound together by a love of bourbon. Lux Row’s drive to innovate has quickly allowed them to become one of the top USA-based independent producers of alcohol beverage products. BJ’s Steakhouse has been a family owned establishment since 1984. BJ’s Steakhouse has been recognized for having the best steaks by the Kentucky Standard’s Best Steak Award of Nelson County. 9:00am – 3:30pm LT11: Shifting and ShootingJoin us for our 2nd annual Shifting & Shooting event at the scenic 2,000-acre Rockcastle Shooting Center. Begin with a scenic drive on our KY back-roads. Then, shoot for fun or for points with a trophy awarded to the winner. Lunch, ammunition, and firearms will be provided with Range Officers at each station to ensure a fun and safe event. 9:15am – 3:30pm LT2: Swope cars of Yesteryear Auto Museum / Back Home RestaurantSwope Museum features antique cars from different eras for your viewing pleasure. They feature cars from the early 1900’s to the 1960’s of all makes and models. Enjoy the vintage car library and a do-it-yourself car video theater. Then onto lunch at Back Home Restaurant. If you are in the mood for some good ole’ family cooking and a great local shopping experience, this is for you! 10:45am – 2:15pm LT3: Lighthouse Restaurant Lunch TourThe Lighthouse Restaurant is a bright spot on a great drive through the countryside. Located in Sulphur Well, Kentucky, it is more than just an ordinary restaurant. It is a DESTINATION, full of history and delicious food served “Family Style”. Voted Kentucky’s 3rd Best Non-Franchised Restaurant by Kentucky Living Magazine. 11:15am – 12:15pm Warren County Area Technology Center Corvette Build ProgramMr. Cundiff will discuss how his high school students have now completely rebuilt 3 Corvettes from the ground up including a Corvette sold last year at Mecum Auction. 11:15am – 12:15pm New Member LuncheonIf you are a new member to the NCM between April 2017 and April 2018 – we invite you to attend a new member luncheon. Meet some of the NCM staff as well as other new members. Learn some of what we offer here at the NCM! Watch for your new member personal invite! Listen as Corvette Legend Jim Mero goes through the evolution of the 7th Generation Stingray Z51, Grand Sport, Z06, & ZR1 at the Nürburgring. This seminar will also feature unique Autobahn footage! 2:00pm – 4:00pm Paul Koerner Classroom Session – C5, C6, C7Question and answer on C5, C6, & the C7 generation. Very interactive class where you will be able to ask Paul any and all of your questions about your personal Corvette. Pre-registration is Required. 2:15pm – 3:15pm NCM Membership Meeting with our Board of DirectorsMeet the NCM Board Members and learn about updates to the Museum, finances, etc. 5:45pm – 8:00pm BQT1: Corvette Racing BanquetDinner with Corvette Racing Program Manager along with some very special VIP guests for this banquet, followed by a presentation and open questions to Doug and guests. 8:30am – 10:30am Paul Koerner Classroom Session – C5, C6, C7Question and answer on C5, C6, & the C7 generation. Very interactive class where you will be able to ask Paul any and all of your questions about your personal Corvette. Pre-registration is Required. 9:00am – 4:00pm NCM Motorsports Park Touring Laps – 1 Day Only! !All day touring offered so you can work around your schedule. With lead / follow car – an average of highway speeds is the norm! No safety equipment is required. 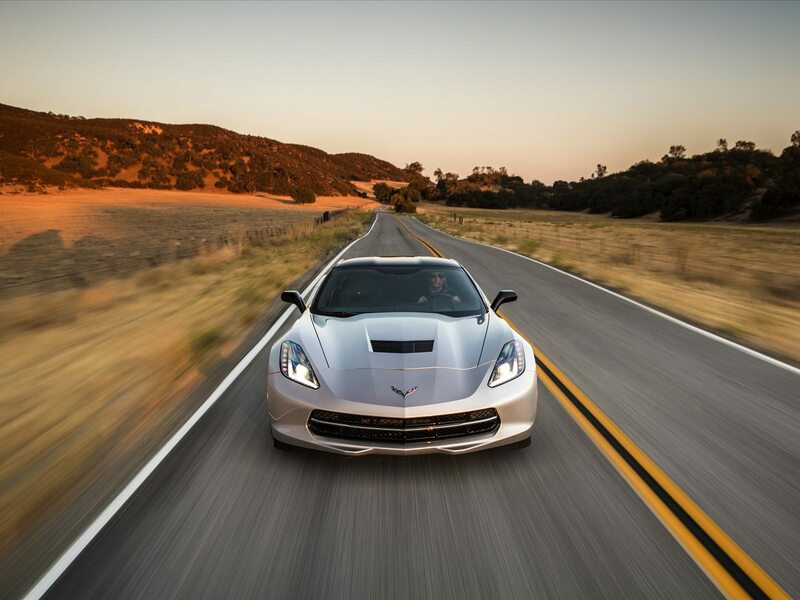 Drive your own Corvette. Convertibles and passengers welcome. 9:15am – 3:30pm LT5: Swope cars of Yesteryear Auto Museum / Back Home RestaurantSwope Museum features antique cars from different eras for your viewing pleasure. They feature cars from the early 1900’s to the 1960’s of all makes and models. Enjoy the vintage car library and a do-it-yourself car video theater. Then onto lunch at Back Home Restaurant. If you are in the mood for some good ole’ family cooking and a great local shopping experience, then this is for you! 10:00am – 2:00pm LT6: Dueling Grounds DistilleryIn the 1820’s, at Linkumpinch Farm near present-day Franklin, Kentucky, matters of honor were settled with the firing of pistols. A man’s reputation was restored when a musket ball found its target. And the area surrounding Sandford Duncan’s Farm soon came to be known as the Dueling Grounds. We will visit Dueling Grounds Distillery where they produce Linkumpinch Bourbon. 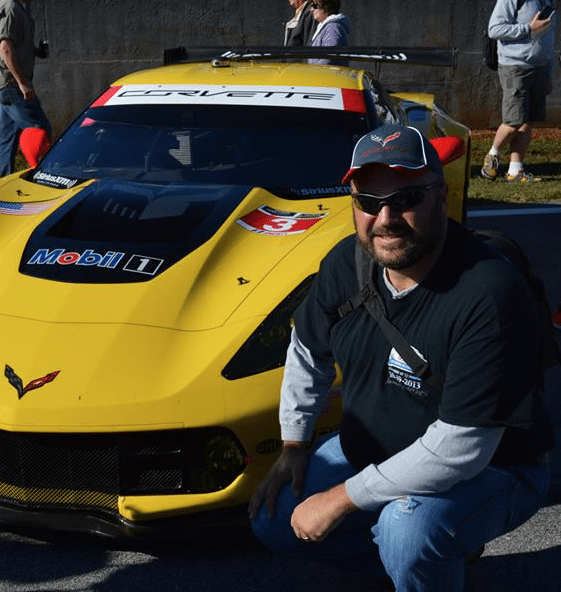 11:30am – 12:45pm Corvette Racing SeminarDoug Fehan discusses the 2018 Race season and previews the 2019 race schedule. 1:00pm – 3:00pm Sip n’ PaintA step-by-step beginner art project class in which guests can create unique and original works of art and learn basic creative techniques to apply to at home projects, all while enjoying their favorite wine! 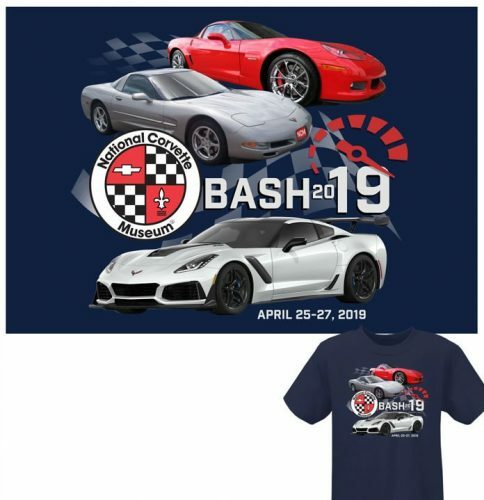 2:00pm – 4:00pm Friday Paul Koerner Classroom – Prepping Your Corvette for TrackThere are many facets to Corvette and these vehicles are track capable right out of the wrapper. This does NOT mean that they do not require proper preparation prior to placing them on the racetrack. In this in-depth classroom, we will cover all models from 2005 to present date. ZO6, ZR1 and Z51 will all be covered, including correct oil, lubricants, tires, alignment specifications and other details that sometimes are missed. Question and answer will also be a part of this class! Buckle your 5-point harness, this will be something NOT to miss! 5:45pm – 9:00pm BQT2: Winners’ Circle Dinner / Cash BarOpen to those who have donated more than $1000 in 2018, have named the Museum in their estate plans, or made cumulative gifts of $25,000 or more since January 1, 2003. 8:30am- 10:30am Saturday Paul Koerner Classroom – Prepping Your Corvette for TrackThere are many facets to Corvette and these vehicles are track capable right out of the wrapper. This does NOT mean that they do not require proper preparation prior to placing them on the racetrack. In this in-depth classroom, we will cover all models from 2005 to present date. ZO6, ZR1 and Z51 will all be covered, including correct oil, lubricants, tires, alignment specifications and other details that sometimes are missed. Question and answer will also be a part of this class! Buckle your 5-point harness, this will be something NOT to miss! 9:30am – 4:00pm LT8: General Jackson Showboat – NashvilleTake the 2.5-hour General Jackson Showboat Midday Lunch Cruise for an afternoon of entertainment along with a delicious buffet lunch! Enjoy the comedy, audience interaction, and catchy tunes from the band while cruising along the Cumberland River and tasting a mouth-watering Southern-style buffet prepared by the General Jackson’s very own sous chef. 9:45am – 2:30pm LT9: Mammoth Cave Drive / SteakhouseFollow Kentucky State Police Trooper Island Director Jonathon Biven’s official KSP Patrol C6 Corvette through the Mammoth Cave National Park area on a beautiful scenic drive. Lunch will be a Steakhouse in Cave City before returning to the NCM. 10:45am – 2:15pm LT10: Lighthouse Restaurant Lunch TourThe Lighthouse Restaurant is a bright spot on a great drive through the countryside. Located in Sulphur Well, Kentucky, it is more than just an ordinary restaurant. It is a DESTINATION, full of history and delicious food served “Family Style”. Voted Kentucky’s 3rd Best Non-Franchised Restaurant by Kentucky Living Magazine. 6:00pm – 9:00pm BQT3: Bash Banquet Join us as our event banquet returns to the Sloan Convention Center for a plated dinner. Entertainment provided by a Live local band playing the hits of the 60’s, 70’s, and early 80’s.